Designed by Andrea Lucatello. 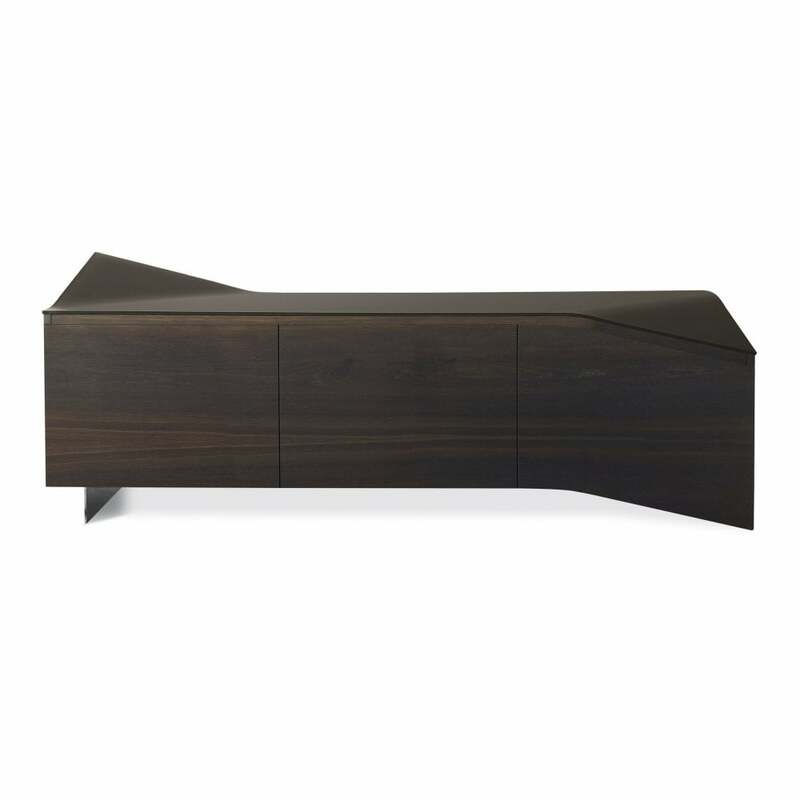 Sideboard with wood or lacquered wooden frame, 3 doors in wood or lacquered wood. Curved painted satined glass top. Priced for Matt lacquered wooden frame and doors. Curved matt satined painted glass top.